The MitySOM-5CSx Debug Adapter board for the MitySOM-5CSx Family of SOMs allows for access to both the HPS (ARM) and FPGA JTAG chain debug interfaces. 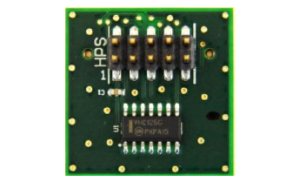 Each compatible System on Module includes a 31-pin Hirose connector which this adapter board connects to. Note that this adapter does not support TRACE capabilities. Please contact your Critical Link representative for information about a TRACE capable adapter. Critical Link recommends that a USB-Blaster, USB-Blaster II or EthernetBlaster II Download Cable be used from Altera for debug, configuration and programming of the MitySOM-5CSx.